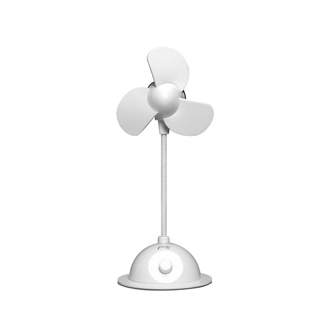 Enhance your ambience and enjoy quiet, yet cooling air flow with this multi-speed gooseneck fan. Its portable size makes it a great addition to any room in the home, office, or even travel bag. To use, simply plug the fan into a USB power source (computer, laptop, etc.) or wall outlet. No batteries required. • USB powered, no batteries required. Wall plug adapter included.